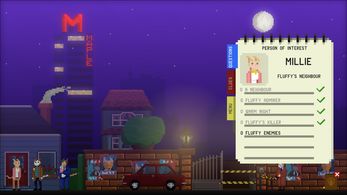 Game is in early access : If you purchase the game right now, you'll get the full first chapter when he'll be released. 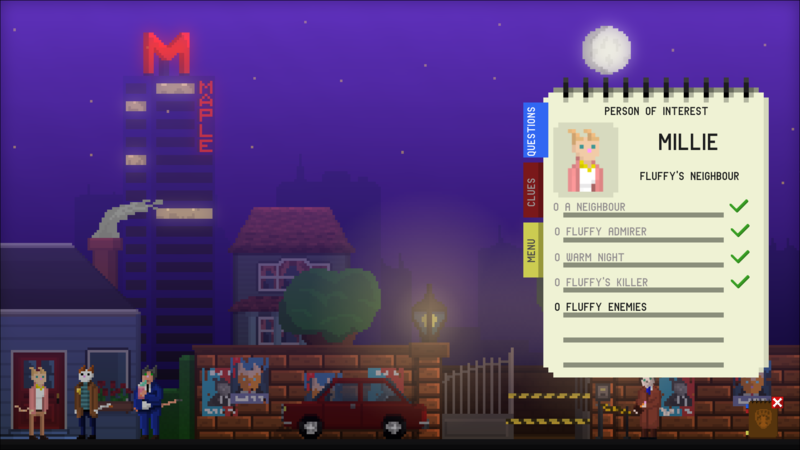 Fluffy, a rich industrial in Cat Town, is found dead at his house : Is it a murder ? Did he kill himself ? 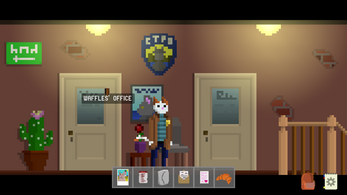 Inspector Waffles is the one called to solve the mistery. 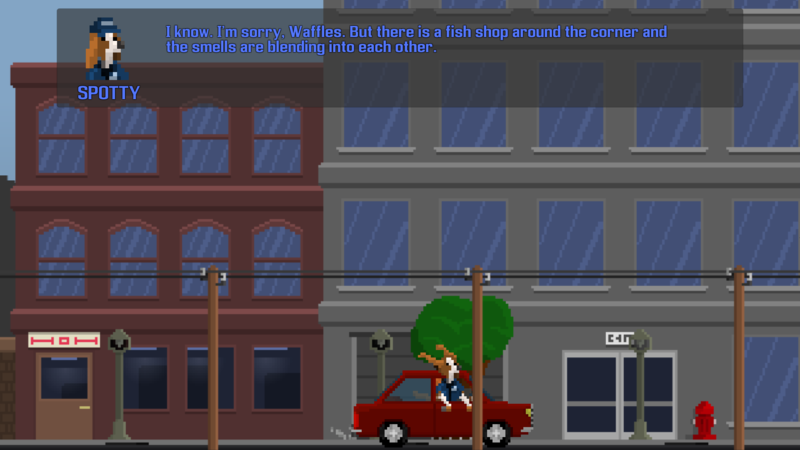 But there is a problem : the cops can't find a way to get to the crime scene. 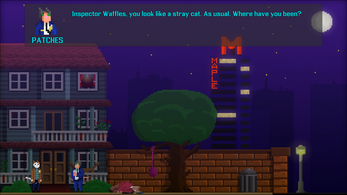 Inspector Waffles is a point-and-click adventure game with anthropomorphic cats and dogs. 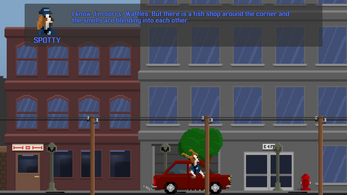 It's a classical adventure game where you can interact with decors, combine items and solve puzzles. You are a detective, so you also have to look for clues, interrogate people of interest and solve cases until you find out who the crime head in CatTown is. 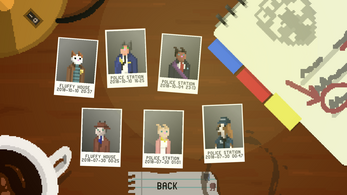 You play a smart cat detective surrounded by crazy, stupid, dangerous, cunning and funny characters. You'll find dry humour and puns about cats and dogs. I am not kitten. 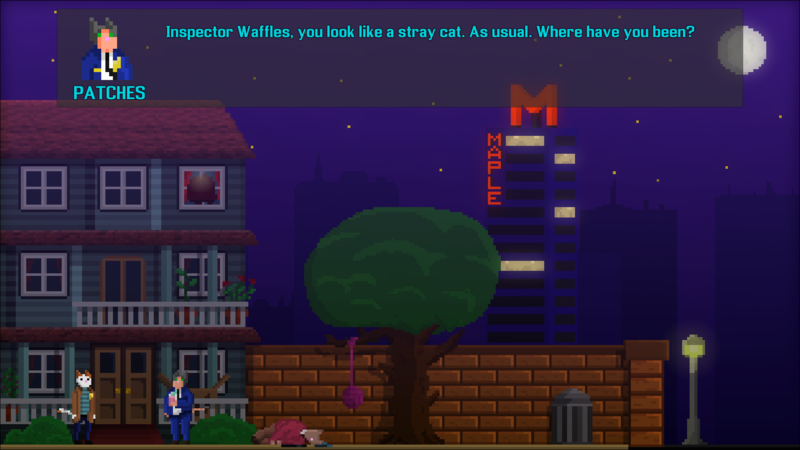 Inspector Waffles is a game I've been working on, mostly alone, since january 2017. I'm planning to release the first chapter of the story in 2019. 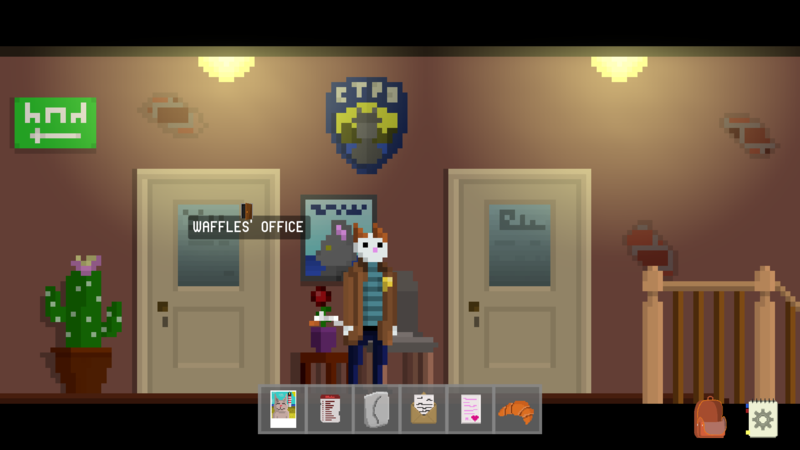 A little break with Inspector Waffles... but not with gamedev! January update: New screenshots, dialogs and tribute to indie point&clicks! October update : 4.0 version, interview and showcase ! 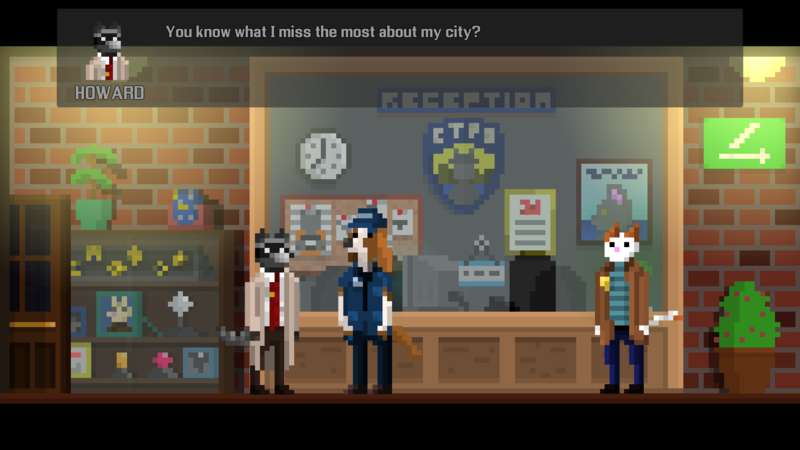 September update : 16/9 resolution and new inventory ! Thanks a lot :) We'll release the full chapter this year! It was a great time watching you playing, your voice acting is perfect ! :) Thank you ! Hah, very cute :) I love all the little cat-jokes. Looking forward to chapter 2!